Career Counseling is much beyond than just deciding on a ‘Major’ or a job. It is a continuous process that helps the student understands him/her and the world of work, in order to make career, education and life decisions. Henceforth, our career counseling and guidance cell ensures to assist each student in locating resources and sources of career information and help them determine next steps to develop a plan to achieve their goals. The one thread that we really try to touch upon is the vigilance over the choices and decisions made by the students. Senior School Emeralites experienced a unique interactive Mathematics class with Dr Troy Vasiga, Senior Professor at one of the world’s top universities, University of Waterloo, Canada. The highly interactive class was a kind of exclusive dis junction from the conventional methods of solving mathematics problems. 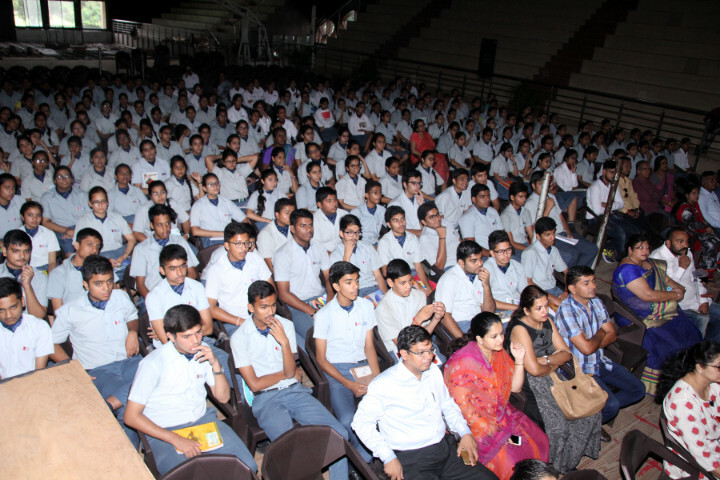 The students envisaged the upcoming collegiate level academic rigor while being at high school. Topics like magic squares to anti-magic squares and other tactics of problem solving honed the thinking skills thereby rooming broader perspectives. We organized Effective Study Skills Workshop by renowned psychologist and counselor, Dr V. S. Ravindran, ICTRC, Delhi on November 27, 2018. The immersive effective study techniques’ workshop was followed by a question and answer round thereby motivating the students to perform their best. The magnificent platform was also honored with the CSR LIC ‘STUDENT OF THE YEAR’ AWARDS 2017-2018. Each year, LIC recognizes the intellects and prodigies from 5 schools across the country to motivate and acknowledge the potentials. Dr V S Ravindran, along with Mr. Sanjeev Shrivastava, Branch Manager and Mr. P. Wadge, Higher Grade Assistant of LIC presented the trophies and certificates to these young achievers. While quite a many sessions were on the radar, our Biology students had a dire demand of hosting a university offering degrees in medicine, veterinary medicine, public health, the health sciences, nursing, arts and sciences. Keeping in lieu the students urge, we hosted St. George’s University on September 28, 2018 which was established by an act of Grenada’s Parliament. The delegate had a close interaction with the students wherein all the required information about admissions, applications, the pathway, etc. was discussed at length. Apart from hosting the university delegates, we believe hosting our own successful alumni, so that the pros and the cons of a particular chosen area is well narrated through the real life experiences. 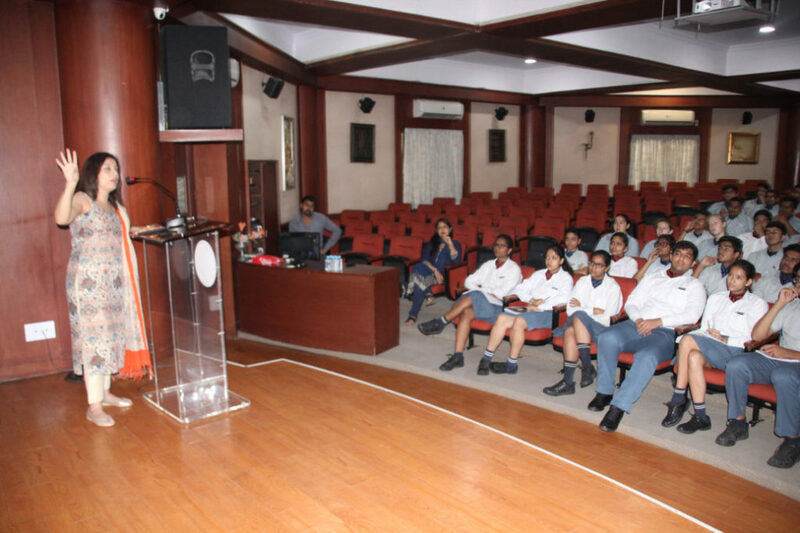 Adhering the same, we exposed our law aspirants to an interactive session with our alumni, Apoorvi Jha on July 20, 2018. “Academic excellence does not count for success in the profession of law, it’s indeed the professional competency acquired through experience which is the benchmark of success”, she said. 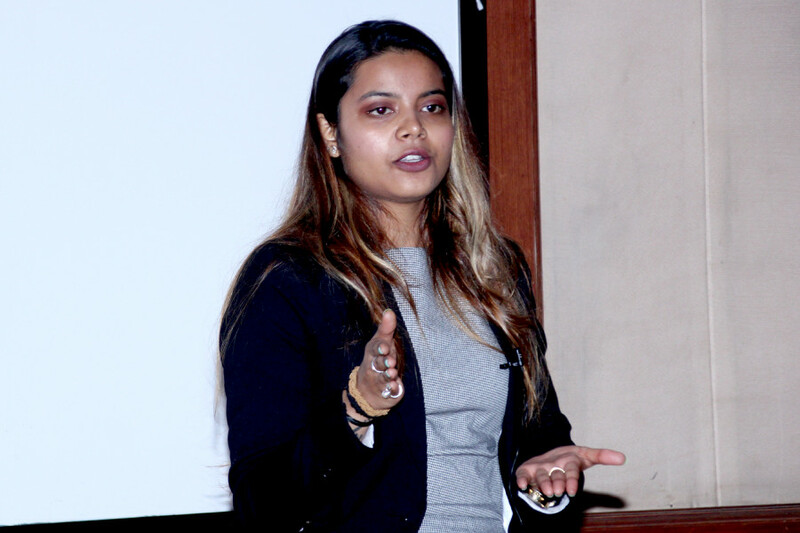 She shared her thrilling experiences of the moot courts, the debates in the classrooms, and the feeling of supremacy on being understood the jargon riddled, jaded and demanding texts of the law. She also motivated the students by highlighting that being law students definitely meant something different and extraordinary. Harshwardhan Chouhan, XII grader, also gave some meaningful insights from his research on the law as career, which gave much clarity to the aspirants. Knowing what to expect allows each student time to start discovering his strengths. Playing ones strengths allows an individual to perform his best, thereby keeping undue pressure at bay. With this objective as priority, the school counseling department outlined the quintessential strides on the importance of personality grooming, changing trends in higher education and being multi -tasking as the key components in success June 20-22, 2018. “They say, it’s not about the grades that make, but the hands that you shake”. Truly supporting the saying, we take advantage of opportunities that give edge to our students to explore, learn, and exchange. Today, April 13, 2018, we availed the opportunity of shaking hands with Ms. Minnu Paul, Methodist University, University in Fayetteville, North Carolina, United States who faced the students of classes XI and XII with all the comparative aspects of higher education in India v/s USA. Besides all the relevant information about the majors and the minors, the speaker highlighted the proud tradition of excellence in intercollegiate athletics. 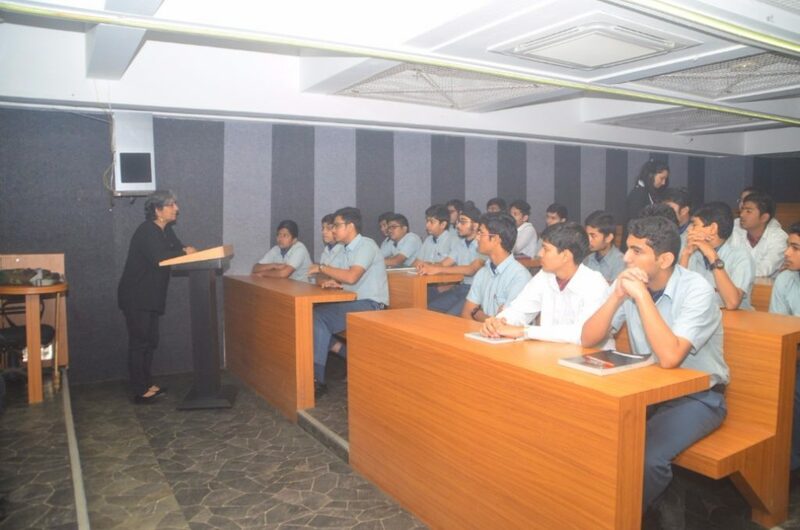 The sum total of conducting these sessions is that our students realize the significance of making educated decision. 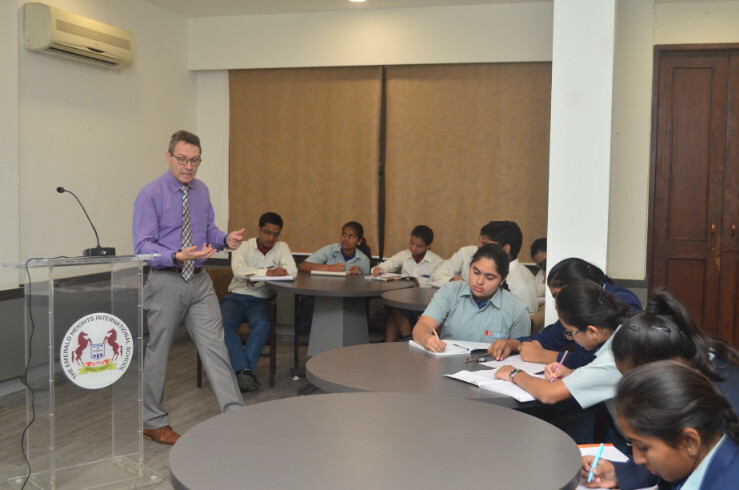 The school was engaged with a day-long array of productive sessions on April 04, 2018 in terms of higher education opportunities and application procedures in the US, UK, Canada, Singapore, Australia, Netherlands, Ireland, etc. 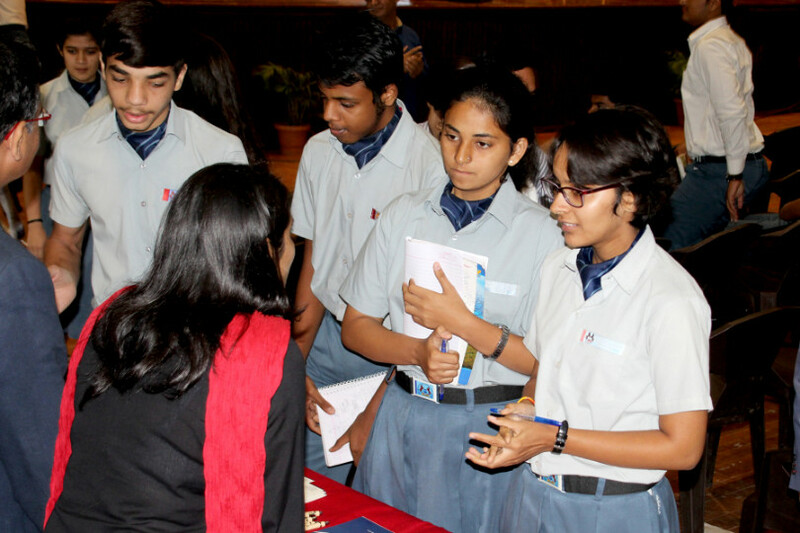 The spokespersons from The Red Pen, Mumbai had a close one-to-one interaction with the students. On one hand, students had a brainstorming college essay writing session, while on the other, parents were enlightened with the various scholarships and funding through sports, and still further, the teachers had a session on writing effective letters of recommendation. Global education is an essential component of the school counseling department. We believe it to be the utmost required domain to harness the students’ intellects culturally and linguistically, thereby creating research-focused learning opportunities and meet their coursework. 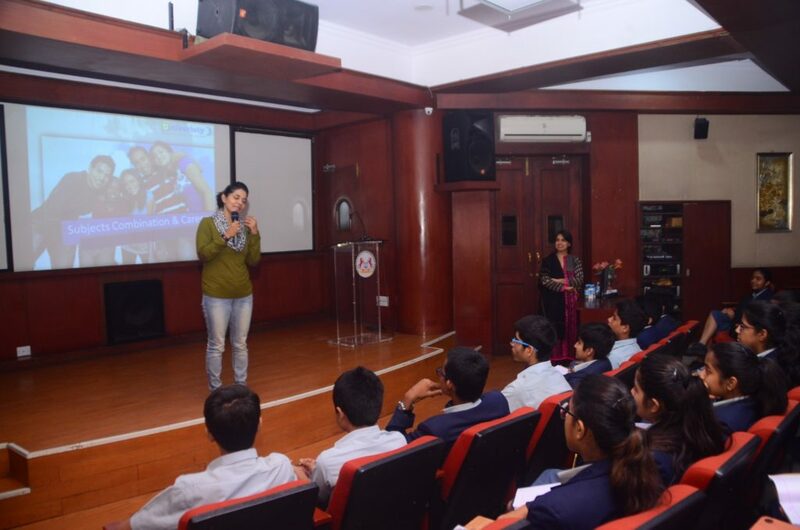 On March 27, 2018, the school hosted Ms. Meenakshi Sharma from New York University, Abu Dhabi (NYUAD), who educated our students on the plethora of opportunities lying at NYUAD. Being an ambitious institution, we seek to equip our students with the skills they will need in an increasingly disrupted and challenged world. 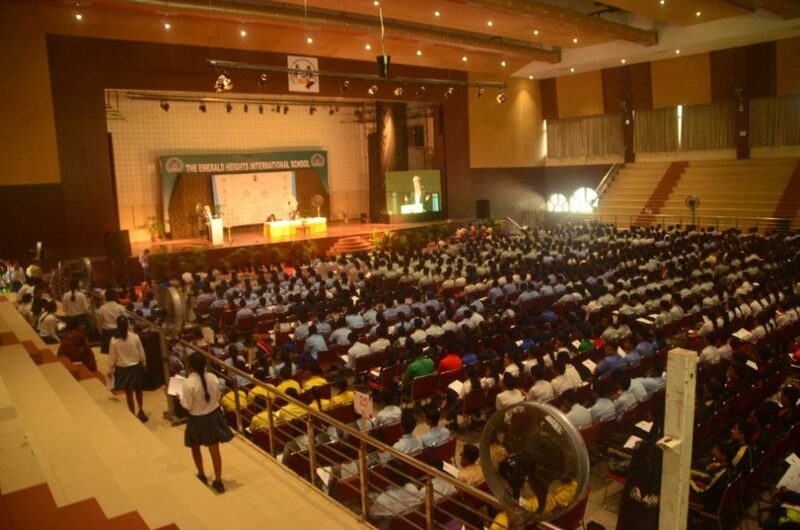 Henceforth, we lay emphasis on global education in order to transform the student experience. 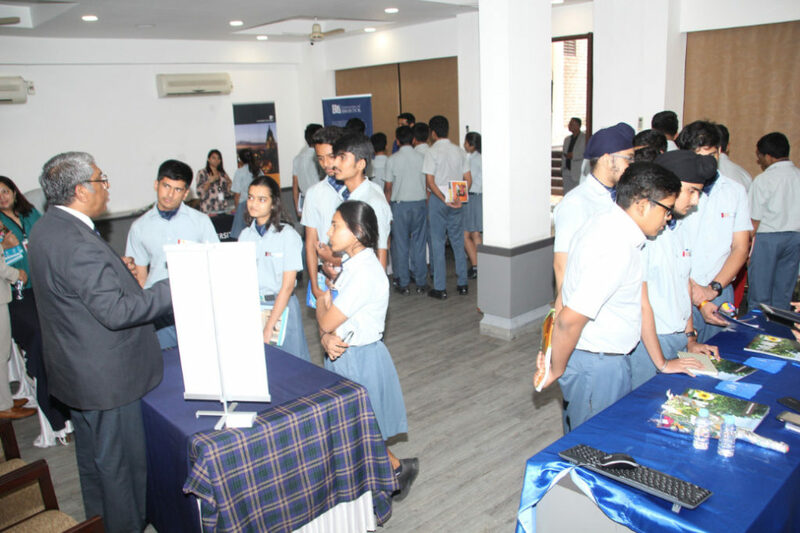 Going a step further, we hosted Queensland University of technology, Australia on March 23, 2018, who interacted with the students of grade XII to specify the quintessential requisites of study in Australia. Basic talents, values, and motives have an impact when decisions are made about courses and careers. The process is just not about enrolling to a top college or university, but being successful in the same. It’s the accumulation of knowledge, personality traits, and certain achievable skill sets that makes the process complete. 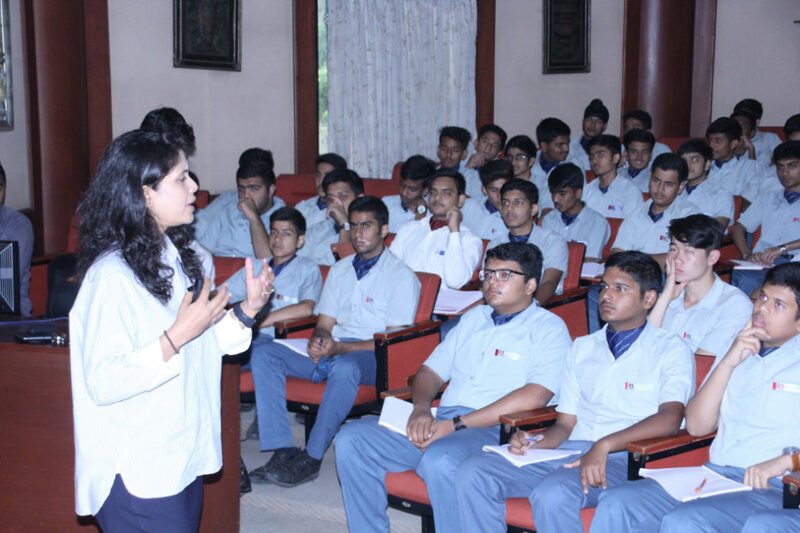 So, before we counsel our students, we discuss the pedagogy of these attainable skill sets that play an extremely important role in the clarifying their career aspirations and achieve more success.An orientation encapsulating distinct skill set, overcoming potential problems and strategies for success was conducted by our school Career Guidance Counselor Mrs. Vandana Murjani, wherein the students were acquainted with the desired skills and various dimensions of career decisions. Our students need to emerge as leaders, critical thinkers and professionals so as to meet the demands of the competitive world, which further rests upon the education pursued after the high school. We believe in taking the onus of placing our students at the best institutions across the globe. Our Career Counseling Department takes all the required initiatives and efforts to provide a platform to the students wherein they can directly meet the delegates from the top universities. In the same line, a session with The University of Wisconsin, Milwaukee, USA was conducted for the students of Class-XII, wherein the students got the direct information like how UWM professors tackle issues locally and globally, shared their expertise in leading publications, earning patents, influencing public policy, etc. which otherwise becomes difficult to gather. German universities have a quite good network with universities all over the world. Moreover, there are quite a many other opportunities which we might be unaware of, and with the conation of confronting our students with the big picture, we hosted a delegate from Germany Education who not only highlighted the many benefits of German Education but also walked the students through the step by step application procedure. The gist of the session was the universities and the obtained graduate degrees are well-known all over the world and show the future employer that the student had a firm basic education. At German universities the practical part of the studies has an important part to play. Internships have to be done in many programs of study and every professor recommends doing one. The big industry and especially the large cities provide many opportunities for these internships. One can absolve them in the most different kinds of disciplines and companies. Creating a learning environment through implementing globally appreciated academic benchmarks, international exposure and inter-institutional exchanges yet being in town is what quite a many students look for. 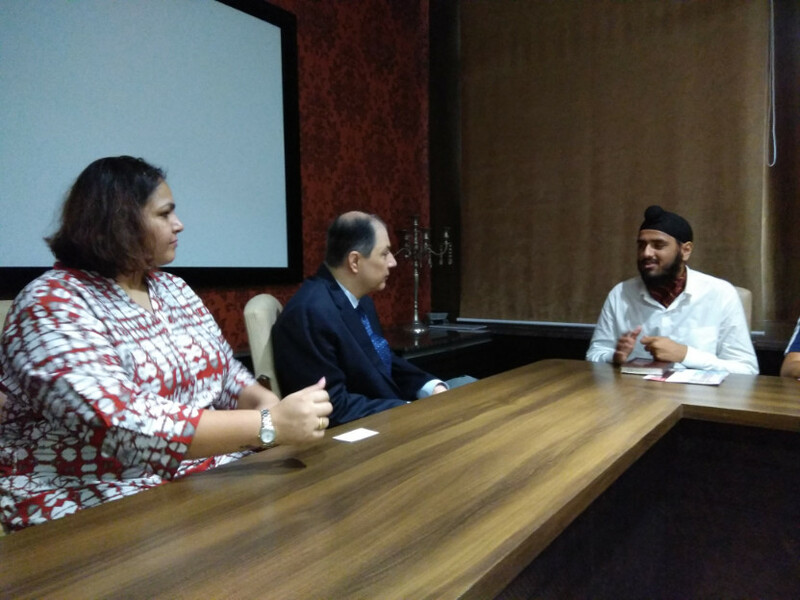 Henceforth, with the intention of exposing these students to the best options in town, we invited a delegate from Daly College Business School, who furnished the students of grade XII with the courses offered and the activities on DCBS camps. With the objective to offer an interdisciplinary education that delivers both breadth and depth in diverse areas of knowledge, we at school, try to cater to the needs of students in all the spheres of opportunities, and the emerging of liberal arts education in India, is at prime focus. 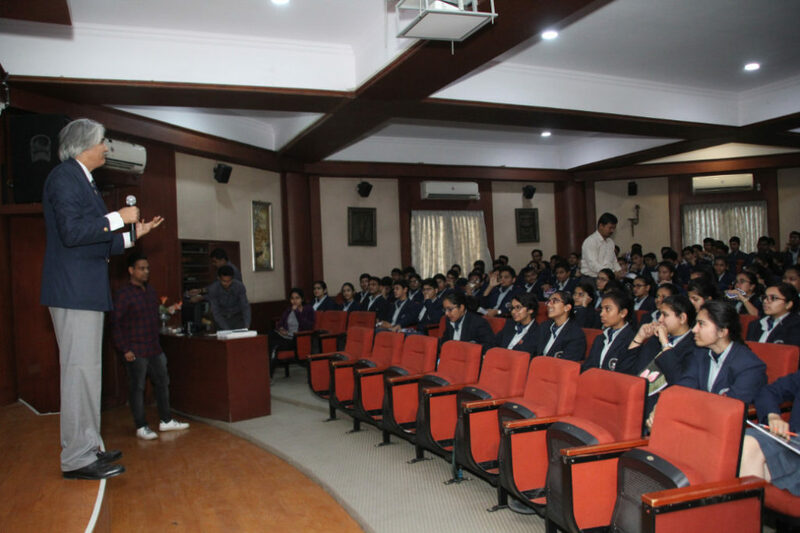 Adhering the same, a session on The Liberal Education Ethos at FLAME University was conducted at school on January 1, 2018. 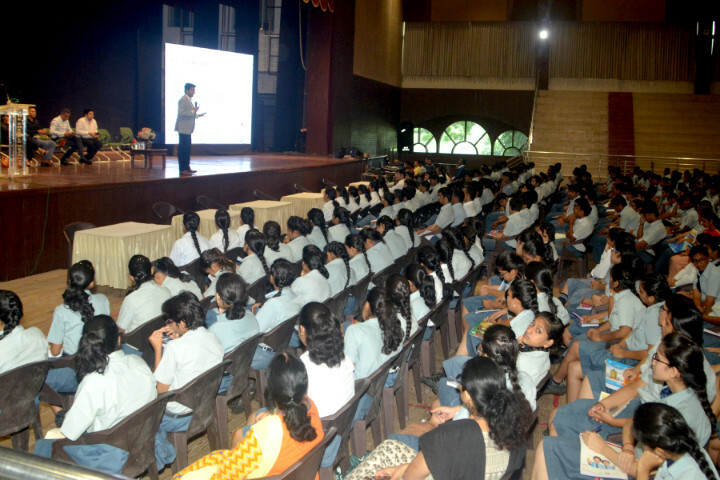 The entire focus of the talk steered towards inculcating leadership and risk-taking skills in students and learning to follow one’s passion. 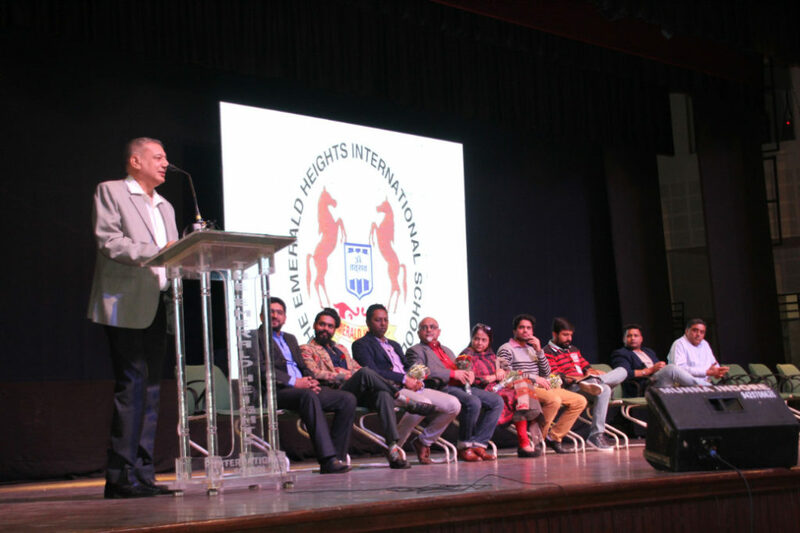 The Emerald Heights International School hosted the IC3 Regional Forum on February 24, 2018 wherein around fifty Principals and High School Counselors across the state participated. The selection of appropriate career is the backbone to successful future prospects, henceforth it’s very important for the stakeholders and parents to be keep abreast with the rapidly changing trends in the career domain, so that our children are guided in the most conducive manner. All this becomes possible with the right accumulation of knowledge, good and healthy relations with the universities and latest information in the field of higher education. Adhering the same, we earnestly involve ourselves in the events and activities which benefit our students directly. The insightful sessions were conducted by Mr. Ganesh Kohli (IC3 Conference Chair, Mumbai), Mr. Siddharth Singh (Principal, The Emerald Heights International School, Indore), Prof. Hariharan Krishnan (Ashoka University, Delhi), Ms. Tanushka Bali (Senior Advisor, USIEF, Mumbai), Ms. Shri Ravella (Marist College, USA), Ms. Anu Kalhan (Full Sail University, USA) and Ms. Vandana Murjani (Guidance Counselor The Emerald Heights International School, Indore). With objective to initiate, seed and nurture the idea of design amongst our budding aspirants, The Design Convention was organized by the Career Department of the school on January 16, 2018. 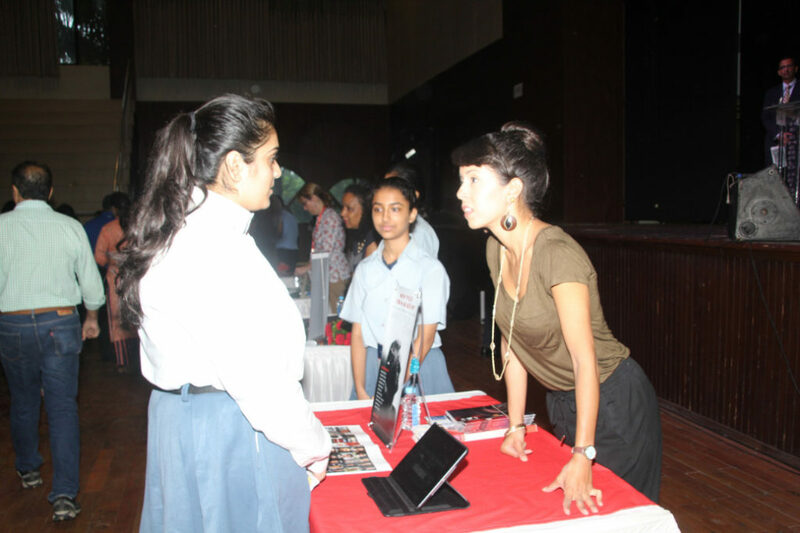 The objective of the convention was to provide insights on design pathways and specializations, offering inputs on design careers and answering various queries that otherwise go unanswered. We believe it to be an immersive and diverse experience that will enable aspirants to be well prepared to embark upon the design journey. We envisaged industry and academic experts from various design faculties to present a body of work to give the aspirants the desired creative confidence. 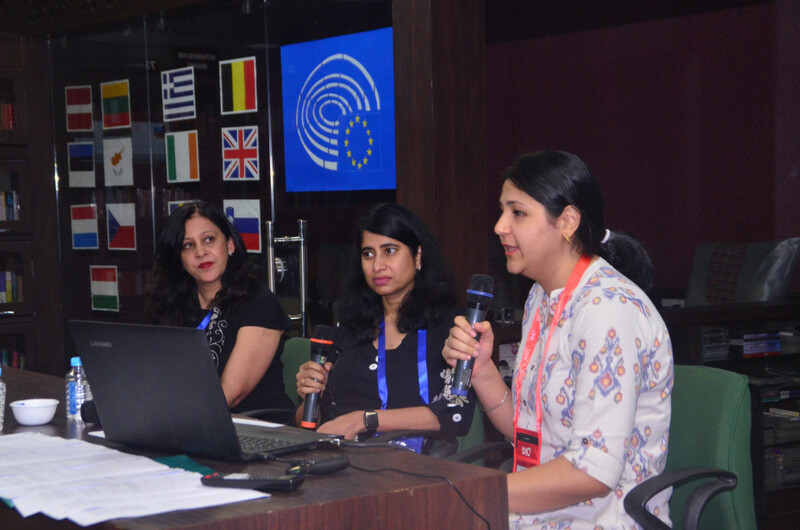 The campus abuzzed with a series of hands-on workshops on various domains designed and conducted by the industry experts from different parts of the country, thereby assisting the aspirants to unravel the untapped creative potential. Today’s children are growing up in a rapidly changing social, cultural and educational environment where they are dealing with the new age of information and entertainment. Lifestyles and value systems of children are shaped by the digital media. Children need proper support and guidance to cope up with the pressure of this complex modern living. In the absence of the required guidance, children might become aimless and aggressive. Keeping in lieu that children spend most of their formative years in the school, we profoundly opine that the onus of bringing them up mentally healthy individuals, falls summarily upon us. Actualizing the dire need for the schools to adopt the whole philosophy of Guidance based education, we in association with ICTRC, hosted a Regional Symposium of School Principal’s on November 23, 2017 in our campus. 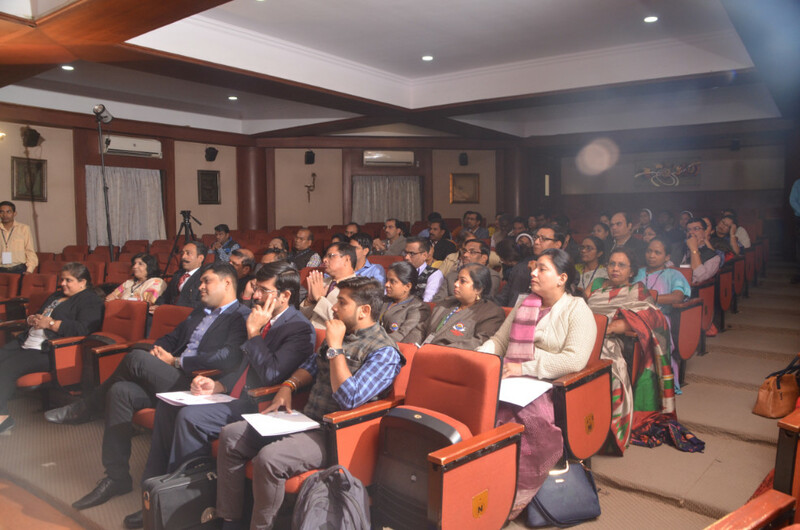 Principal’s from renowned schools across the state assembled in the forum with the objective, to develop an understanding of the whole field of Guidance and Counselling in order to identify the needed change thereby creating a vision. 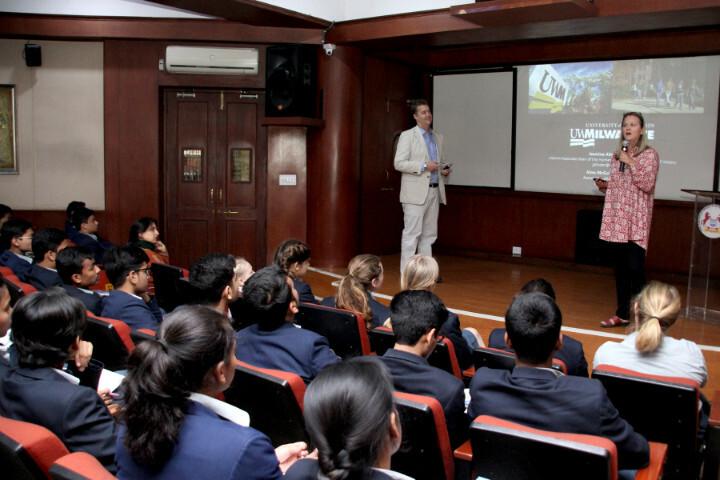 The students of classes XI and XII had an informative session on July 26, 2017 with the delegate from King’s College, London in our school. The forty minutes session was a bundle full of information on unique resources at the university, the exciting courses and culture offered and the global employment opportunities. The key takeaway of the session was, ‘How to craft effective and compelling ‘Statement of Purpose’. Apart from guiding the students on college shortlisting, course selection, proper documentation and application process, we do not let go to advise them on how to seek out and apply for scholarships, and also highlight the best ways to boost their chances of receiving a scholarship. We also think it’s important that they understand the bigger picture as to why scholarships have become so essential to the students who want to graduate with a college degree—and why it’s imperative to understand that scholarships can be vital to their post-college success. 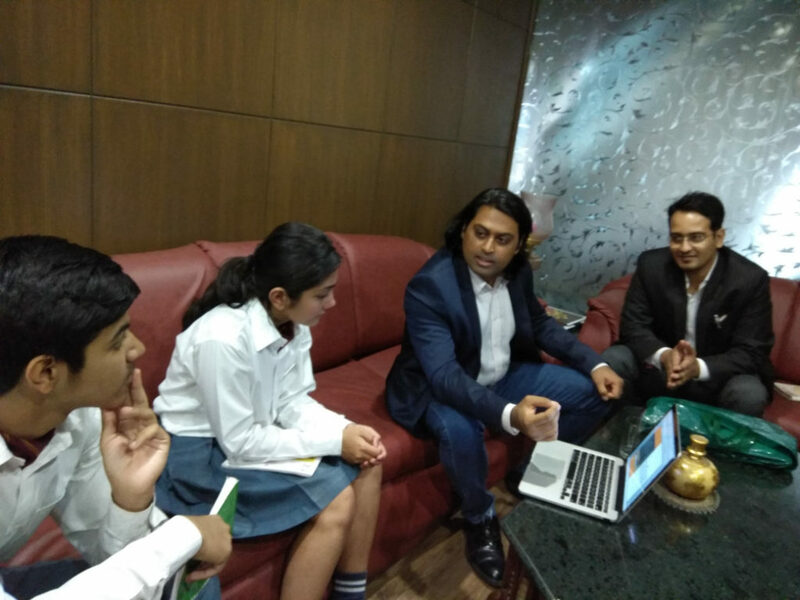 Adhering the same, we hosted Mr. Neeraj Mandhana, CEO, Next Genius Scholarship Program on August 01, 2017 to speak to the students closely and guide them to make the best out of it. 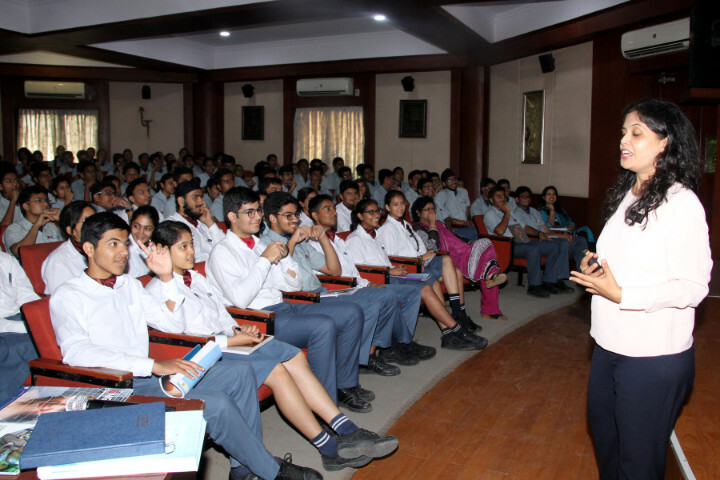 The Emerald Heights’ Career Counselling and Guidance Cell organised the session of Ms. Sabrina Moss from the University of Washington, US on August 08, 2017 for the students of Classes-IX to XII. 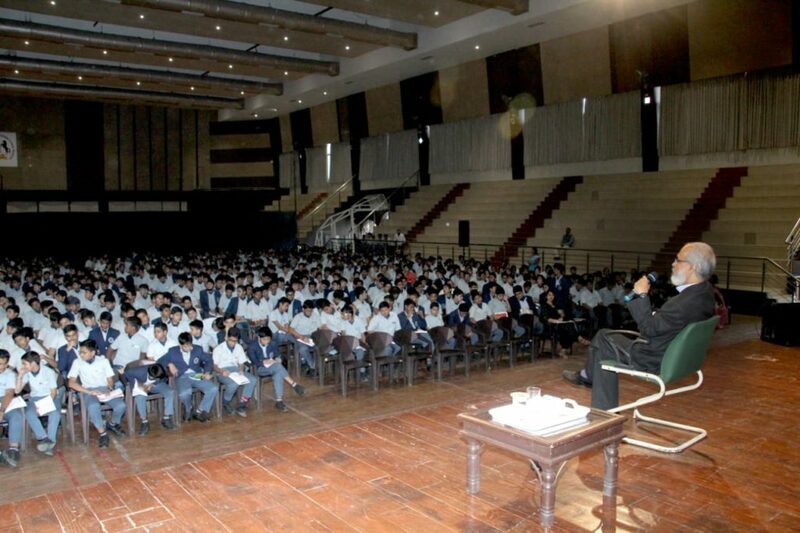 The session was interactive which helped students in selection of courses and universities. These informative sessions prove out to be an efficient way to learn about multiple college options and what differentiates one institution from the other. Is Hotel Industry the Right Career For Me…??? The country representatives from four world class universities, specialized and renowned for the Hotel Industry Courses, interacted with our students in the most customized mode on July 21, 2017 conducted in our school. We also had a session for our students by delegates of one of the renowned universities of the world, Arizona State University on September 12, 2017. 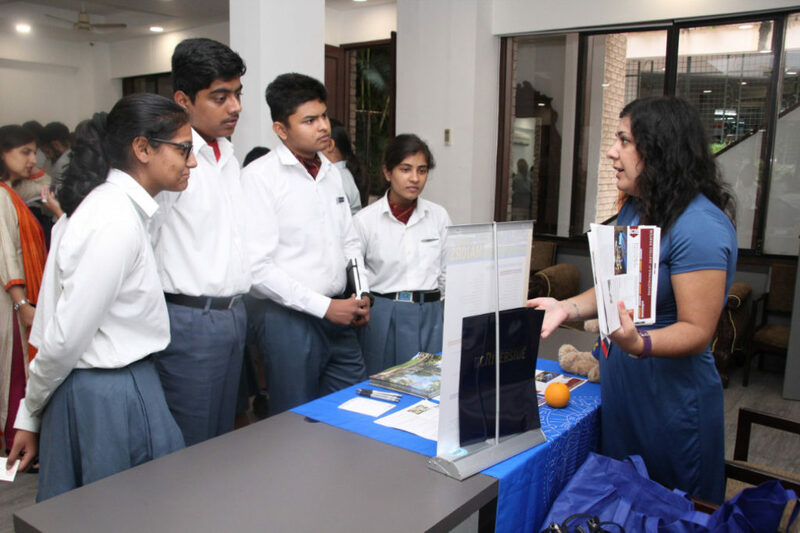 A pioneering Liberal Arts University, Ashoka University visited school on August 24, 2017 and acquainted the students of class XII with the stringent admission process and decent co-curricular expectations to get in. 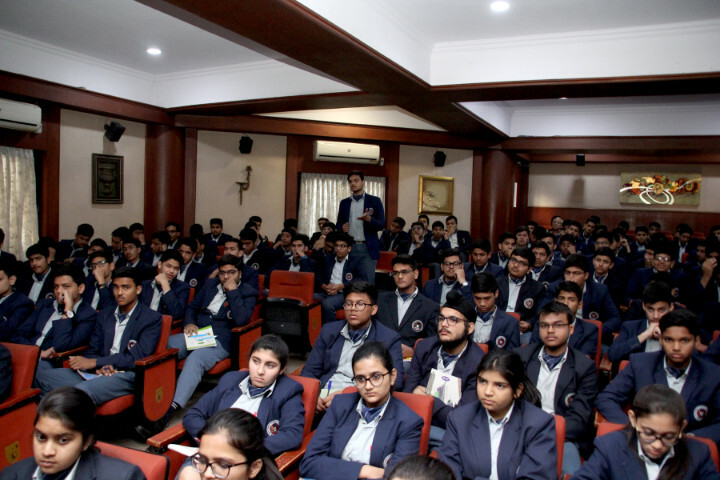 The presentation concluded with the interactive session wherein the students not only got their queries answered, but also updated with the new opportunities that lie ahead on Ashoka Campus. 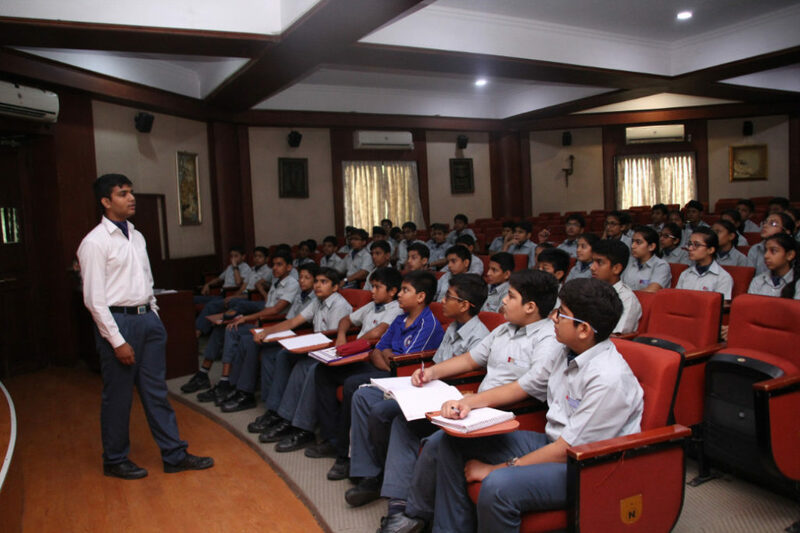 The school hosted an orientation workshop with the parents and the students of class X on August 08, 2017. Albeit, the desideratum of the counseling sprouts from the initial years, yet it needs to be meticulously taken care during the students’ transition from grade X to grade XI, when the need to opt for the specific subject stream arises. Henceforth, it calls for additional ardency with these students. The school in collaboration with Dr Ravindran’s ICTRC, takes the onus to make this transition stress free, through the 4 phase course of action. We ensure the participation of each and every parent during the process. 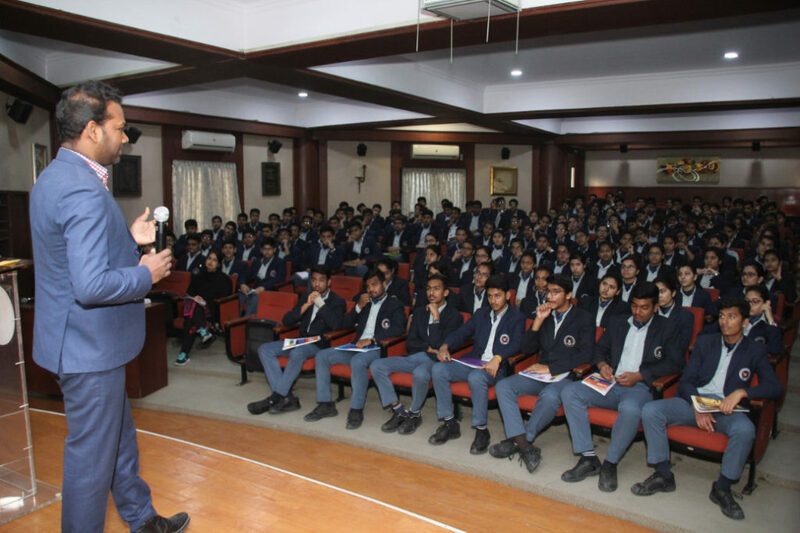 Undoubtedly, the program turns out to be effective in terms of career awareness and exploration thereby employing strategies to enhance academics. 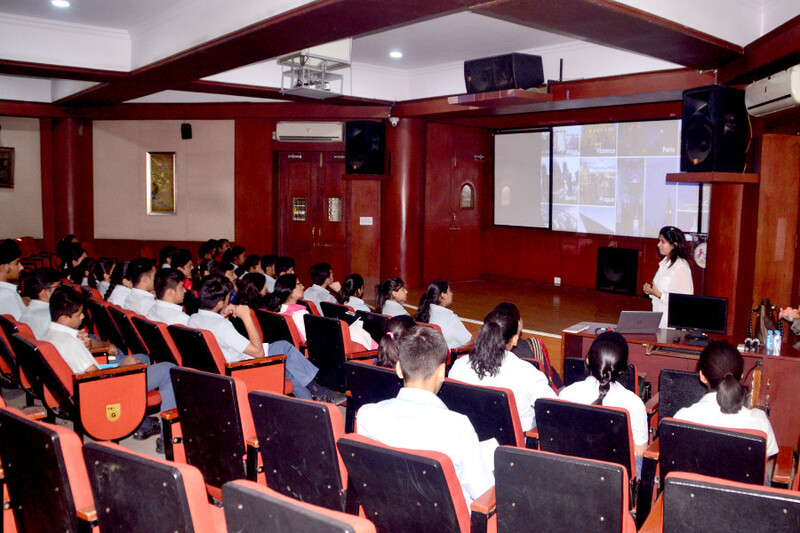 USIEF (United States-India Educational Foundation), a bi national full bright commission had a session in our school on September 26, 2017 wherein they advised students who are planning to pursue higher studies in the US, about the accurate, comprehensive and current information on opportunities for higher education in the US. 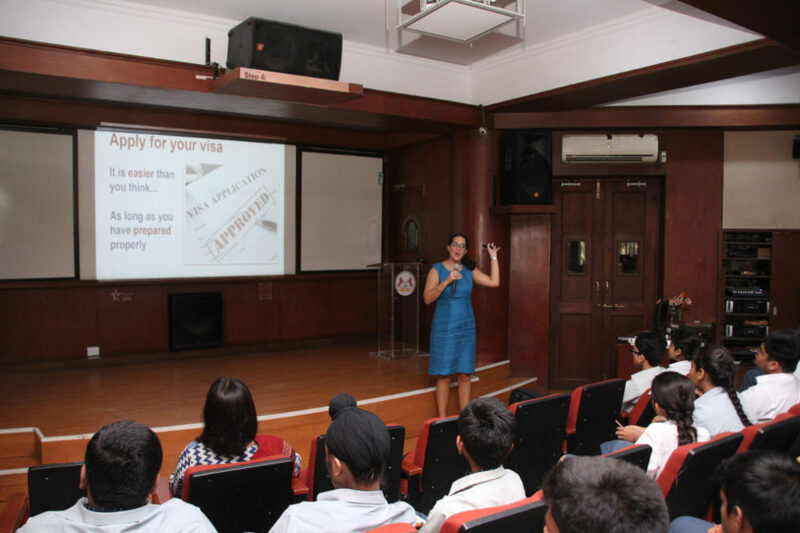 The representative from the US Embassy Consulate also chipped in and discussed about the process of applying for F1 student visa to the US. We understand the widely and fast expanding demands of the career and professional life, and also its impact on students’ minds. Ergo, we care to make the process easy and stress free for our students and parents to reach out with questions that may arise in regard to their community and admissions processes. We value these interactions not as a way of measuring a student’s interest in attending any college, but because we know that these interactions help students decide if any particular university is the right place they would want to spend the next four years of their academic journey. Our endeavor to host University of British Columbia, Canada, on July 11, 2017, a top notch university was one such productive initiative. Peer-to-peer mentoring, we envisage, is a supportive aid for the students in enhancing learning and personal development. In keeping with the same, the school Head Boy, Dev Seth, mentored the students of classes VIII and IX on July 08, 2017 for the upcoming PSAT exam conducted by the College Board, New Jersey, USA. Dev not only imparted the knowledge and skills to be successful in the PSAT , but also facilitated the importance of personal self support and best utilization of the free resources available online. The session was a highly influential one which concluded with the positive note on the expectations and policies of the program for productive outcomes. 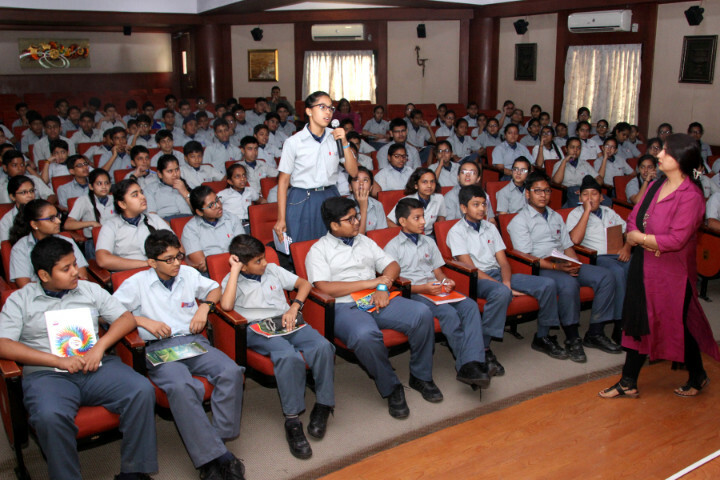 An array of questions embed the students while applying for the colleges in their senior years. Irrespective of the massive information available online, yet these inquisitive minds strive for the real and pragmatic verse. 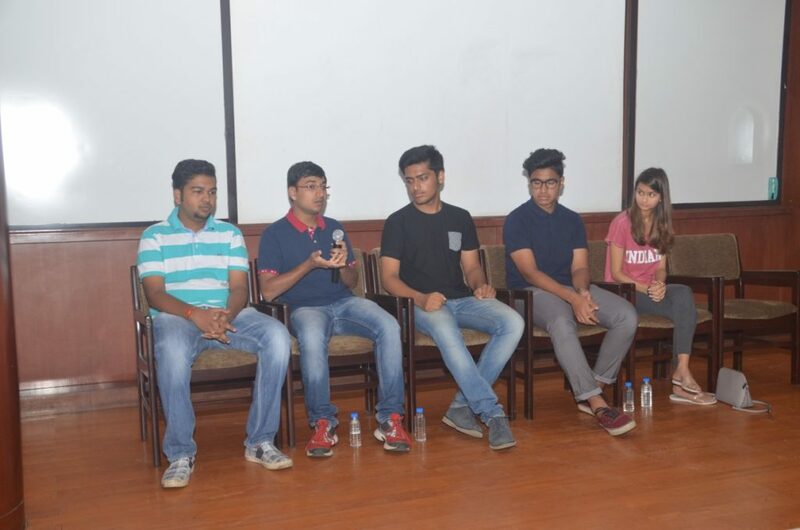 To pacify this appetite, a panel discussion session was conducted on July 05, 2017 wherein the panelists were none other than our own successful ex students . These young students customised the content exclusively aligned with the students ado. After the plethora of discussion on the hurdles and the efficient ways to overcome these, the facilitators gave the audience opportunity to ask questions thereby directing the verve of productive discussion. The Career Confluence…Choose, Prepare and Submit!!! To hog increased confidence in the ability to be successful in the career goals and to apply what we learn, is the quintessential principal of our institution. With these principles taught, the budding students will be capable enough to master the technique of using power. Thusly, we latch on to empower our students to have this power by conducting Career Confluence at regular intervals and one such session we had on June 29, 2017 for class XI. The sole objective of these workshops is to regulate the existing skills needed to achieve the set target, evaluate their talents, interests and values, identify and discover the resources, and to focus on the attainment of these. We presume our target is accomplished when they successfully carve a niche for themselves in the world. As a part of our unending efforts to reach out to the potentials of the students, we keep initiating wonderful and informative experiences for our students to get updates on the study options available worldwide. Attuning the same, we proudly hosted seven Australian Universities in our school campus. 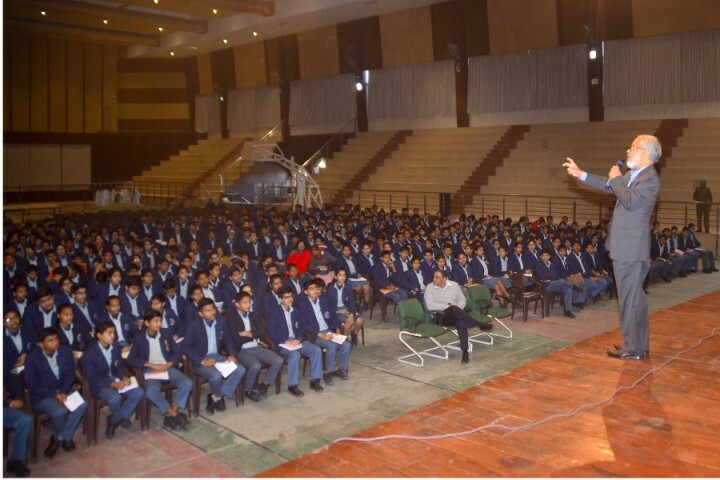 The students of Class-XI & XII were benefitted with the interactive session with the university delegates and got a broad spectrum on the Admission Assessments, Availability of Scholarships, Visa Application, Course Selection, University Campus, Entrance Exams and many other aspects related to the higher education. With the rapid growth in the career big blue marble, the onus of taking out the young aspirants from the self-sabotage lies on our shoulders. Choosing the right career option amidst the plethora of subject combinations and the burgeoning institutions in India and abroad, therefore, eventually comes out to be the utmost. 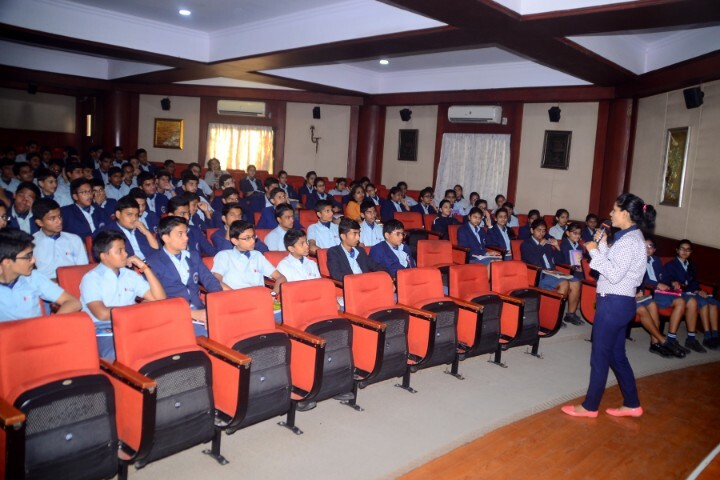 With this surge of interest, exclusive Career Days Workshops were conducted for the students of Class-IX to XII wherein the students were educated about the various blends in order to satisfy their personal need. 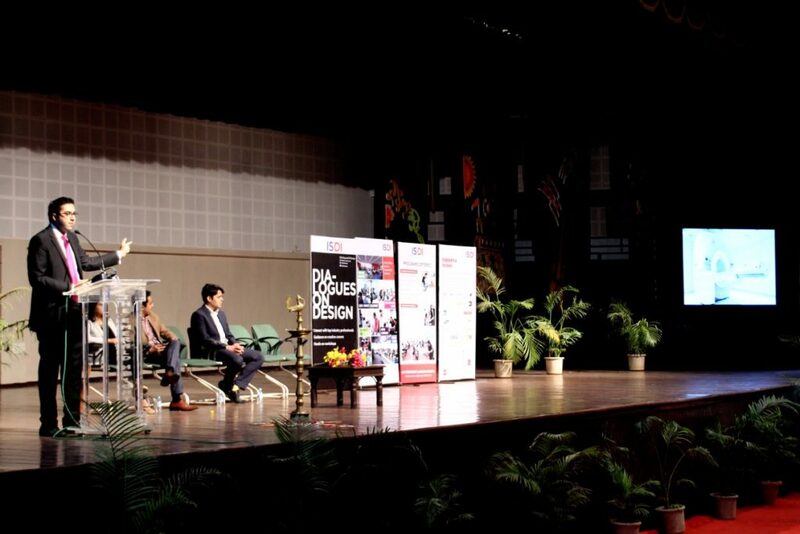 Dialogues on Design (D on D) is an event congenial for the students aspiring to pursue their career in the arena of designing was hosted in the school. The students from various schools of the town attended this gala event. Overall, it was an immersive and diverse pool of experience that will enable the aspirants to be well prepared to embark upon the design trajectory in the years to come. We believe in making continuous remarkable differences to the career selection and preparation of our students. Henceforth, we believe in taking the onus of connecting and creating cultural understanding thereby exposing them to the global mass extinctions and career supportive services. We believe global education to be extremely substantial in these rapidly changing times because the world today is interconnected and interdependent. Our children need to be the successful global citizens. Attuning the same rhythm, the school hosted nine renowned American Universities to create a counseling-focused and personal experience. The university representatives not just shared their program details, but also helped students discover the most appropriate educational pathways, through personal interaction with them. To get an edge with the global education and acquaintance with its criteria, we strive to help our students achieve their goals and reach the acme. This calls for the customized strategy and guidance in finding the right standardized tests and right fit institution. The key objective of our career counselling and guidance cell is to strengthen awareness towards the substantial requirements and admission procedures of the institutions overseas. Henceforth, rendezvousing the students with the relevant resource person comes to pivotal. 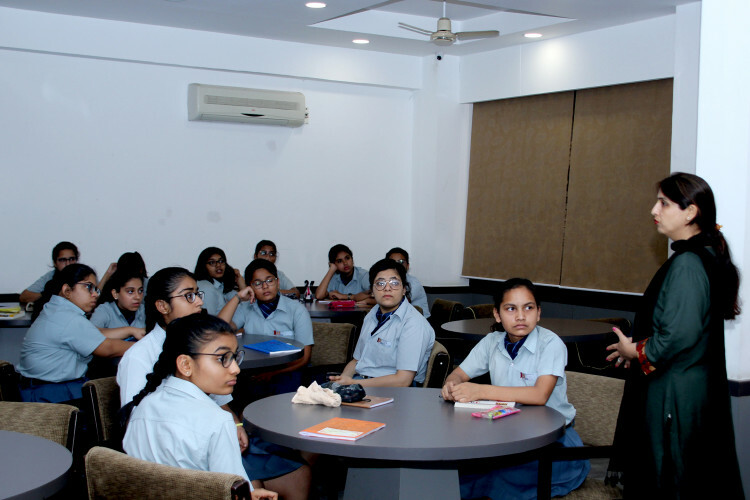 Attuning the same, we hosted a session with Ms. Lisa Jain, College Board Country Representative, wherein she unwrapped the essential information on standardized tests such as SAT v/s ACT and TOEFL v/s IELTS. 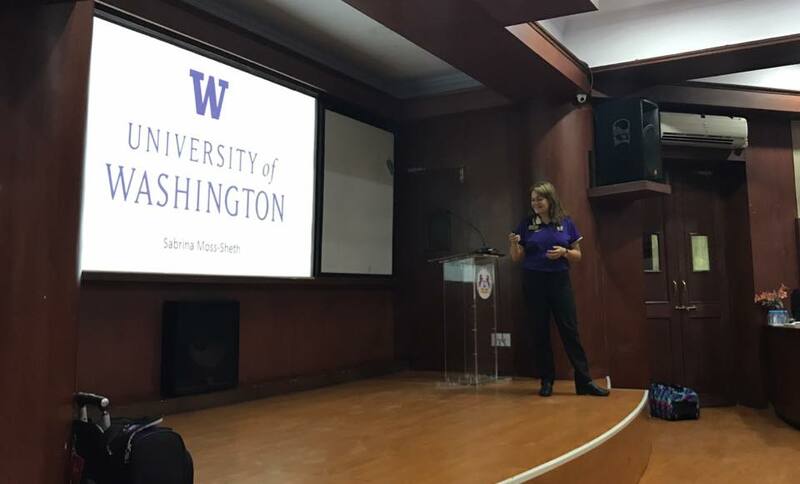 The highlight of the session was to educate the students with the information on the College Board’s Advanced Placement Program (AP), through which they can further earn college credits and distinguish themselves from the rest of the applicants. 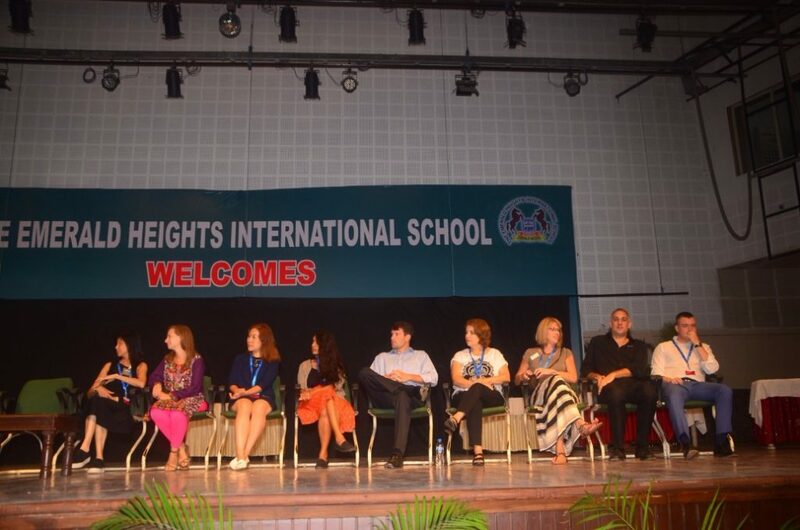 We also feel honoured to announce that The Emerald Heights International School is now the First AP Test Center in MP. The school premises abuzzed with the verve of curiosity and enthusiasm during the One-to-One Counseling Sessions of the students of Class-X. In order to raise the bar in the selected subject, the career counselling and guidance cell ensured that our students are furnished with the information and exposure to the facts and data relevant to their field of study. This will enable them to build on and excel in their professional careers thereby moulding their identity. 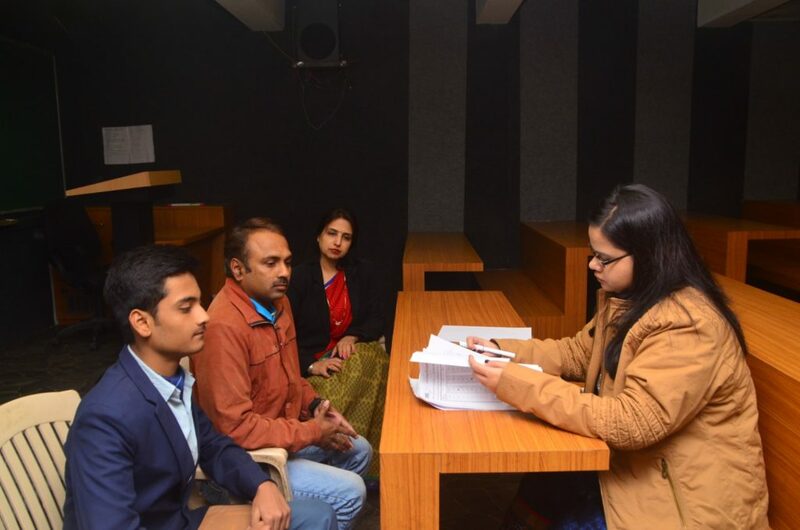 The entire week long counseling course of action helped the students and their parents to better understand their child’s interests, thought process and latent potentials, so that they make the right choice and the right decision for abounding success which they richly deserve. 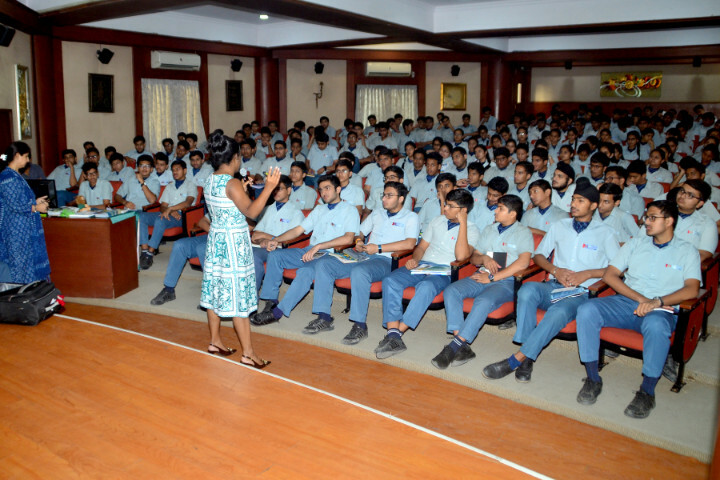 A workshop on Effective Study Skills was conducted for the students of Class-IX to XI. The session being chaired by the renowned Educational Psychologist, Counselor Trainer and Teacher Educator, Dr V. K. Ravindran. 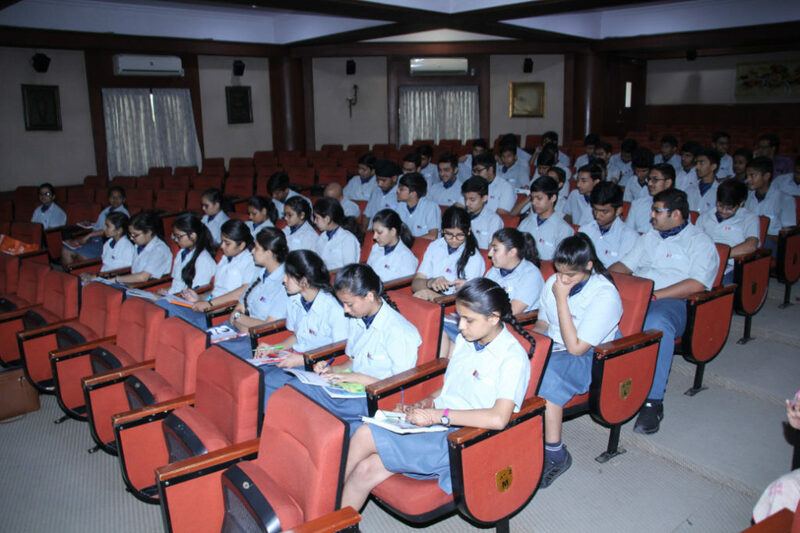 The session was highly substantial and would certainly embellish the performance of the students. The key points of the workshop were Time Management, Concentration Cues and Do’s And Dont’s while preparing for the exams. 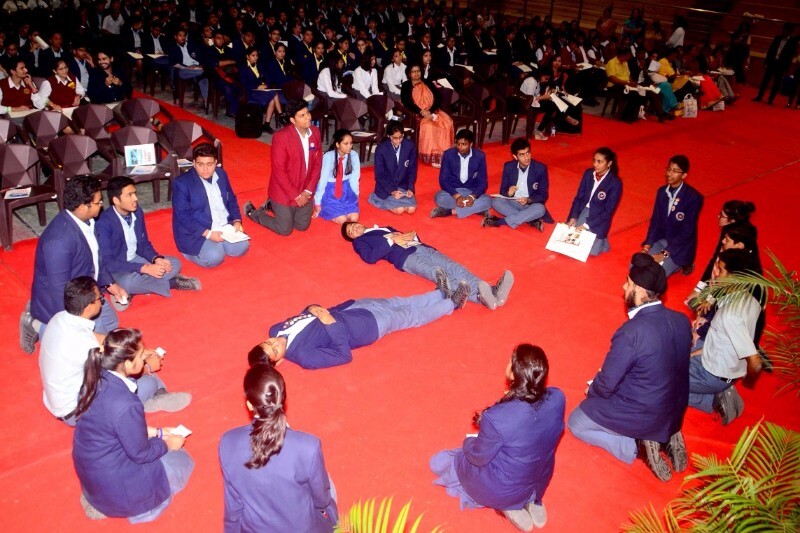 It was not only engaging but interesting too, as it captured the attention and enthusiasm of each student, without giving vent to any monotony. The workshop was followed by the question answer round. Overcoming all hesitations, the students raised relevant and intelligent queries, which were acknowledged with in-depth explanations. Selection of appropriate career is the backbone to successful and satisfying future prospects. Adhering the same, we emphasise on creating the ethos that proves to be lucrative to the students. 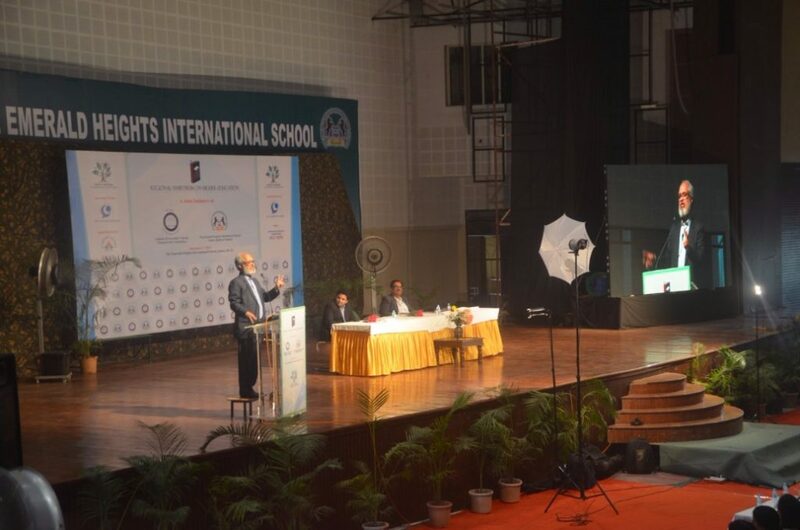 The exuberant event Symposium on Higher Education was hosted in the school premises with the objective to provide an opportunity to students to obtain unbiased and authentic career information and also to equip them with the knowledge of the scientific process of choosing careers and courses. The event was staged by the panel of career counsellors and other experts headed by the renowned Educational Psychologist, Counsellor Trainer and Teacher Educator, Dr. V.K. Ravindran. Dr. V.K. 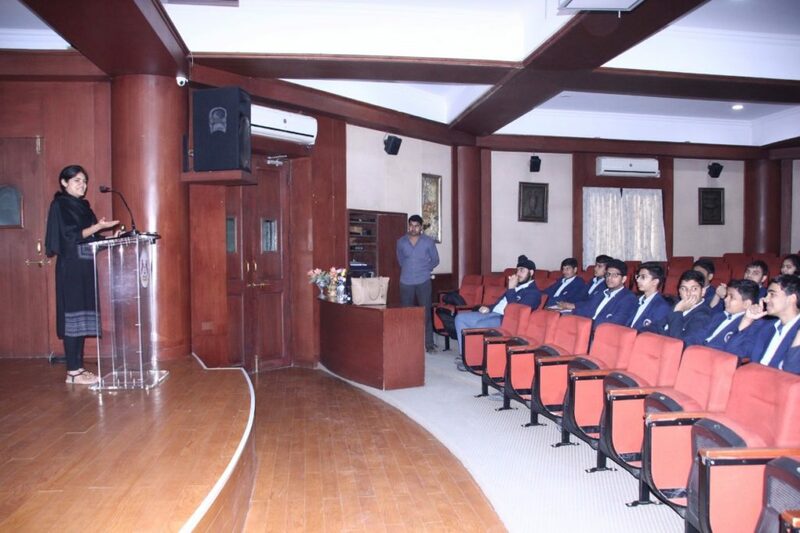 Ravindran, Mr. Siddharth Singh and Mr. Keshav Singh, with their varied experiences, cleared the clouds of the myths and misconceptions associated with the career selection, briefed and debriefed about the information disseminated, and safeguarded the interests of students by enlightening them with the right kind of career decisions to be conceived. 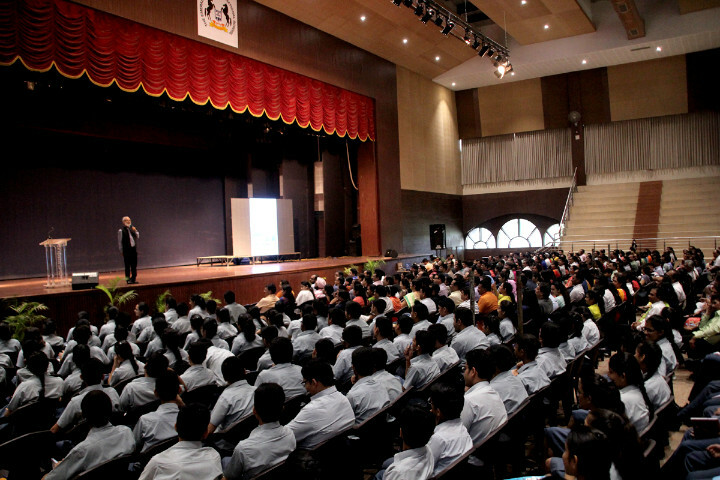 Around 1200 aspirants and 50 educators and counselors from across the town attended the lucrative event. The lofty bonanza was a super success in imparting the rapid and myriad changes in the higher education landscape of the country.